ag4 mediatecture company was commissioned by DHL to renewal their showroom. 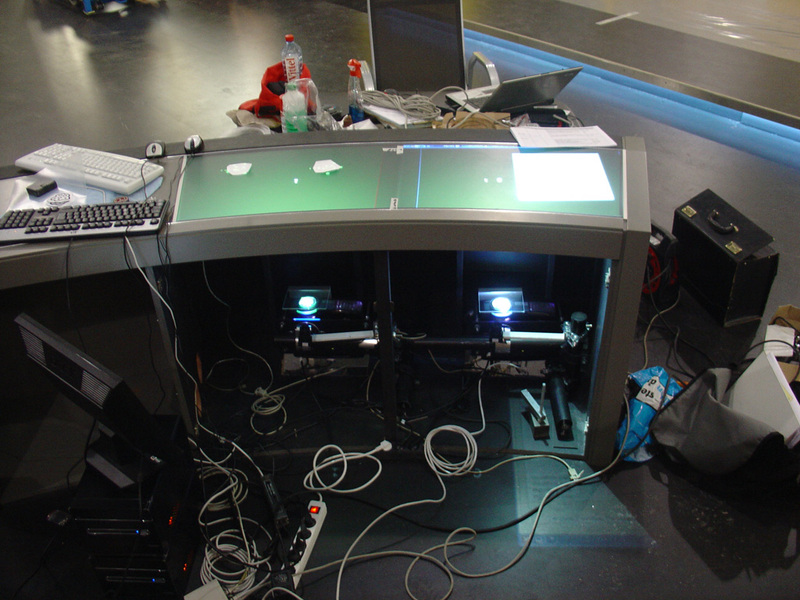 This exponat is a media bar where you could interact with the system with tangible objects. 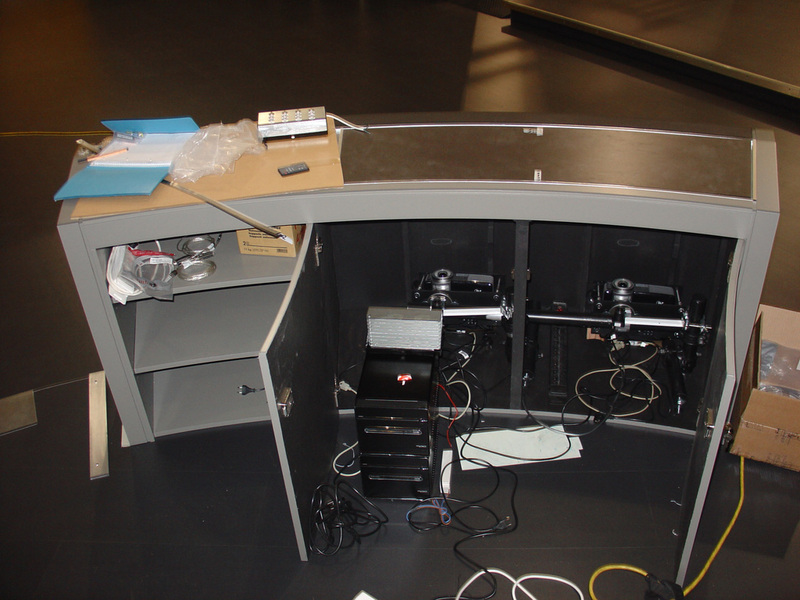 My task was to realize the backend system to make it tangible. I decided to implement the Fiducial addon from Alain Ramos into CCV to get one tracker for finger&fiducials. The addon is based on the fidtrack library from Ross Bencina, which was developed for the reacTIvision project. 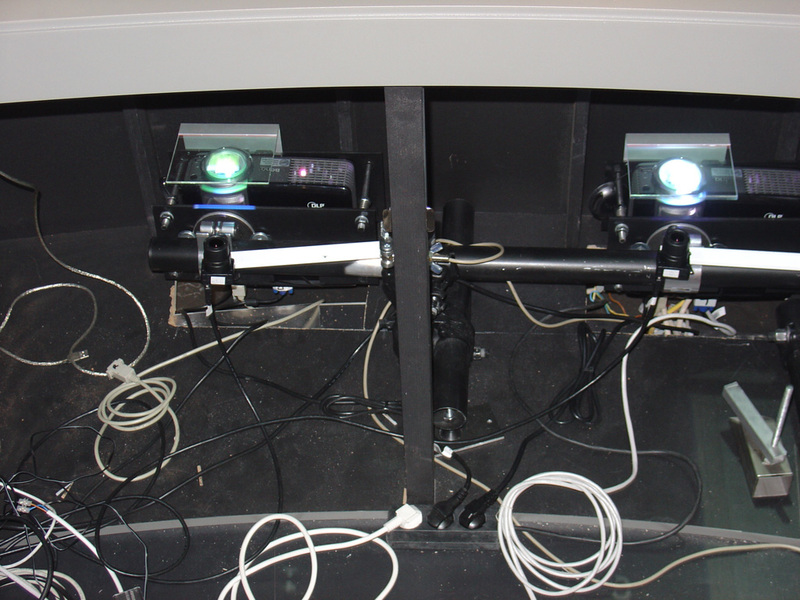 As the width of the bar is to large to be covered by one camera for image processing i used three cameras. 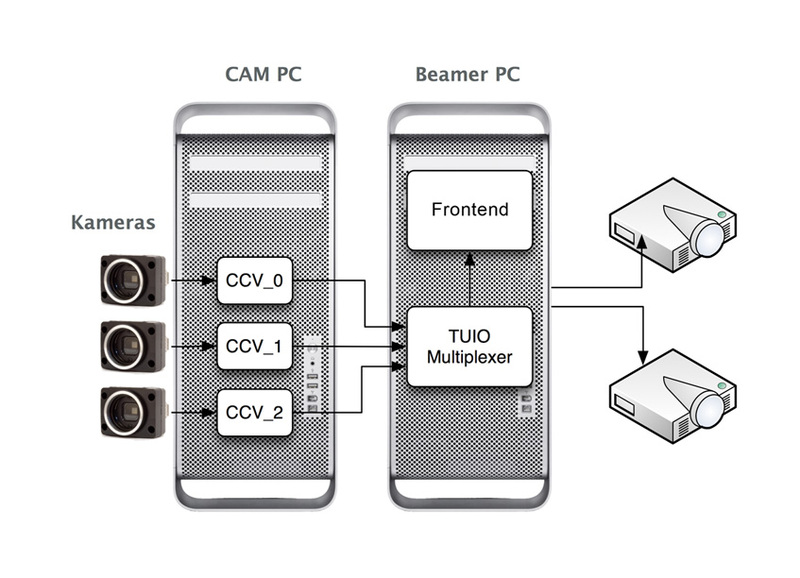 The Multiplexer bundles Finger and Fiducials TUIO datastreams. This was only possible through the TUIO 1.1 Message specification.